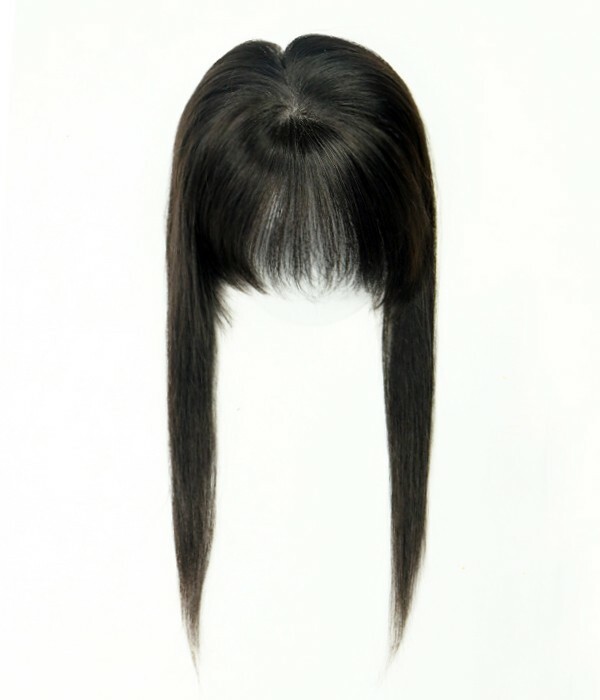 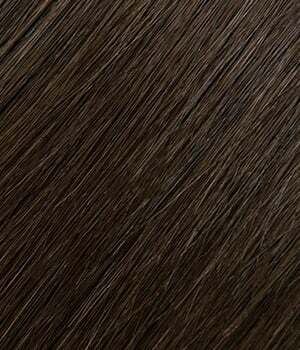 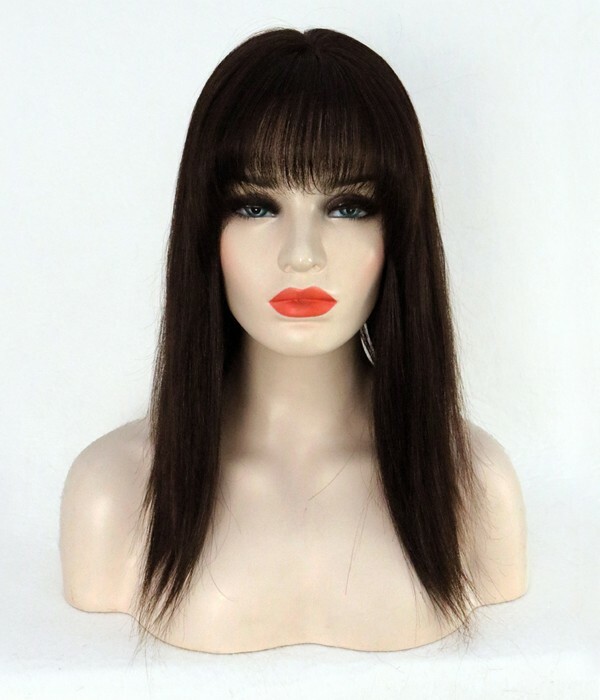 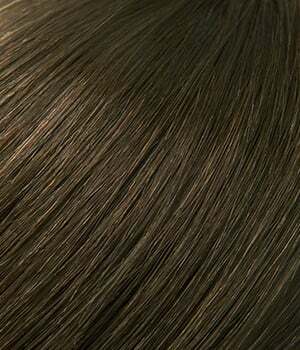 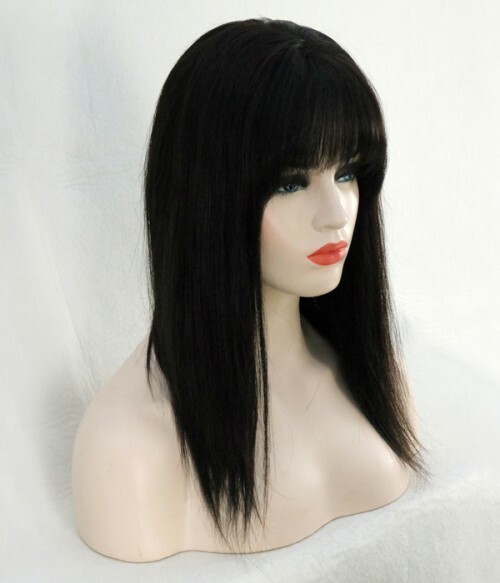 Fringe 4.5"; Side and Back 16"
This Instant Clip-In Bang is an easy-to-attach fringe hairpiece made from human hair withbeautiful face-framing sides. 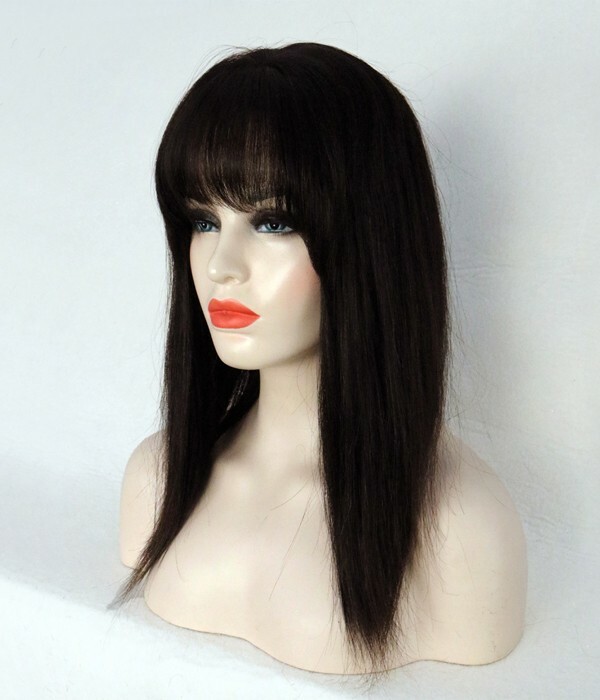 The fringe can be curled or straightened with thermal styling tools to blend with your own hair.The base type is monofilament to lookjust your own scalp. 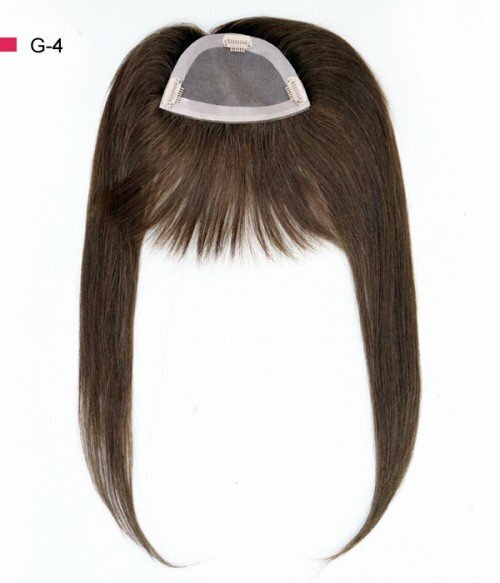 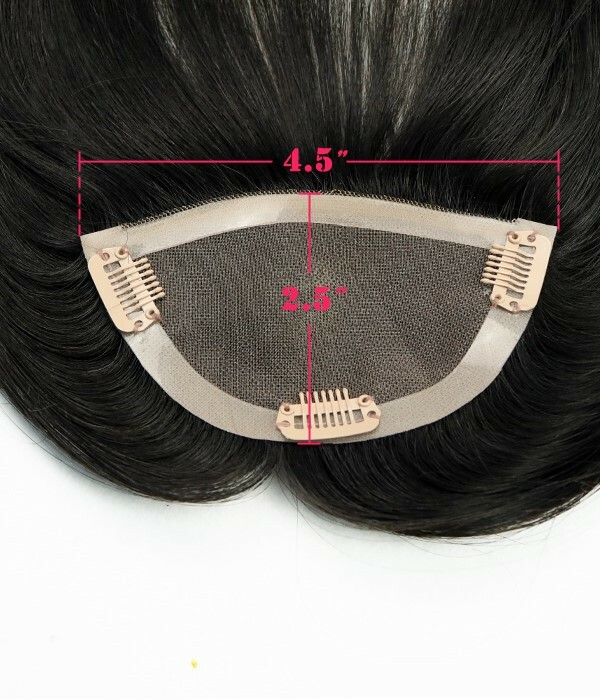 This hairpiece gives you a fringe to your hairstyle without having to commit to cutting your own. 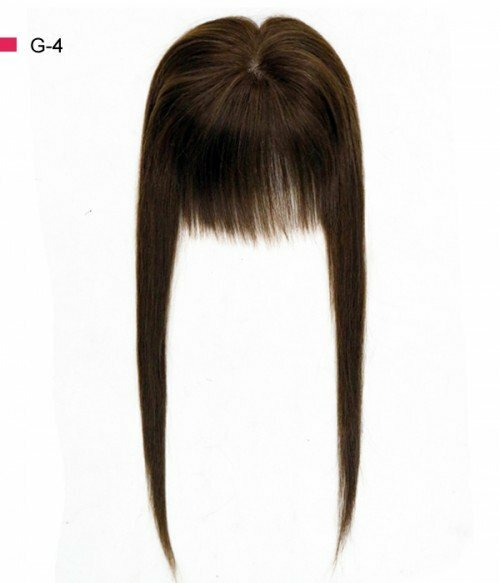 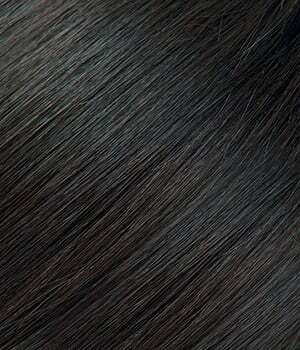 The Instant Clip-In Bang can transform the front of your hair to look much fuller and volumized. 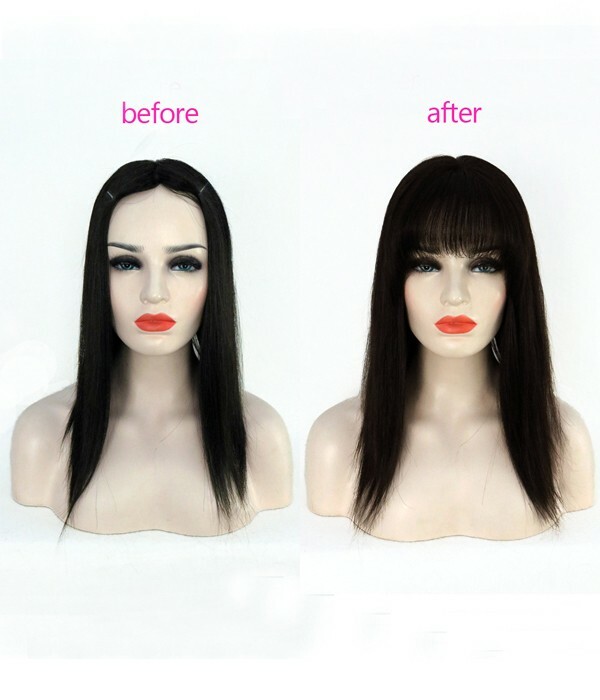 The bangs also provide a very natural look and there is no need to worry about your hairline looking obvious.